For many years after the last band I was in split up (Albedo) it seems that I actively avoided playing and writing any music. I focussed hard on my job, new relationships and parenthood. But then I came to realise that I was forgetting how to play many the songs that I’d written or part-written. I’d never learned to read or write music so I couldn’t easily write the melodies down – and so many of them were just chord boxes and wiggly lines on pieces of scrap paper. G F GG C B C as a melody just doesn’t make sense when there’s no indication of timing. I needed to document these songs before they disappeared forever, so I decided to record one or two favourites. Although that project quickly turned into recording a whole album. I was keen to have a go at recording the songs myself at home. Initially I tried using Cubase, but I found the learning curve just a bit too much. It seemed that I was spending all my time getting it to work rather than actually recording anything. After reading some reviews I bought a copy of Tracktion by a company called Mackie. The reviews focussed on how easy Tracktion was to use – something that appealed obviously. I’ve been using it ever since – it’s a great product. But even with easy software there’s still a lot to learn. You can’t just plug in a microphone or a guitar and expect good results. The instruments need to work together and fit into place. Since I was recording it all myself on my home computer, I needed to use programmable VST plugins for some instruments – especially drum tracks. I found some useful resources online and in music magazines that gave pointers on the use of EQ and compression, but I still had to train my ears – with many false starts. What started as a way to document a handful of songs grew into a massive project. Looking back, I actually made a start on recording over 25 songs. Some went well from the start, but others I just couldn’t get to sound right at all. Eventually, after 18 months of recording I had 12 songs that were completed to a level that I was happy with, and that’s when I drew the line and finished the project. The songs I recorded were taken from rough demos that I’d put together over many years. My songwriting has always resulted in songs of different styles, and often a song that I wrote just wasn’t right for the band I was in at the time – so they just got left on the shelf. Since I had already recorded many of the songs that did fit in with bands, it was these shelved songs that I ended up concentrating on. 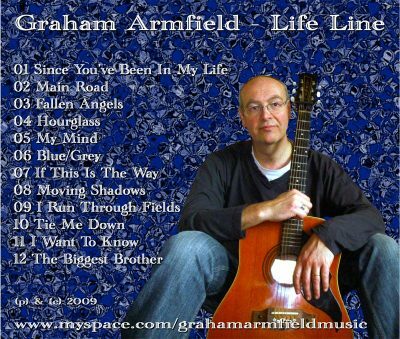 The Life Line album was finished in 2009. 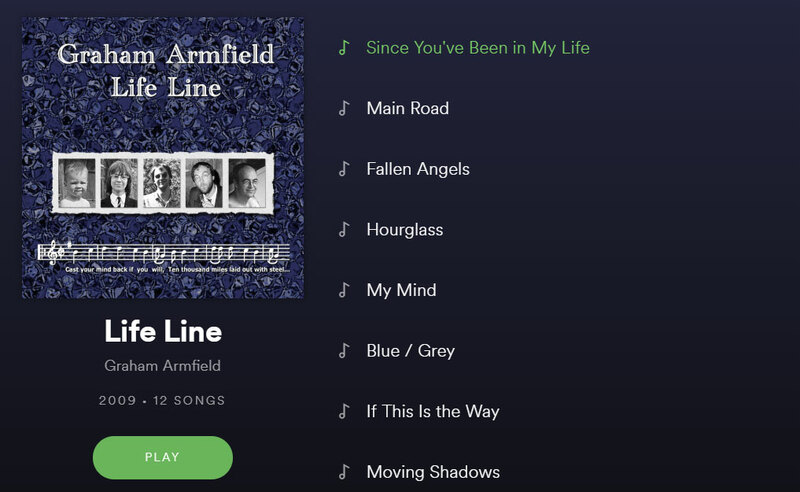 In summer 2018 Life Line was released on Spotify for the first time, so you can listen to it to your heart’s content. Want to own a copy? After a couple of years of not being available, I got a new batch of CDs made up in 2016. I’d been performing regularly and people had been showing some interest. I’ve still got a few left so I sell them at gigs for £5.00. If you want one, let me know. 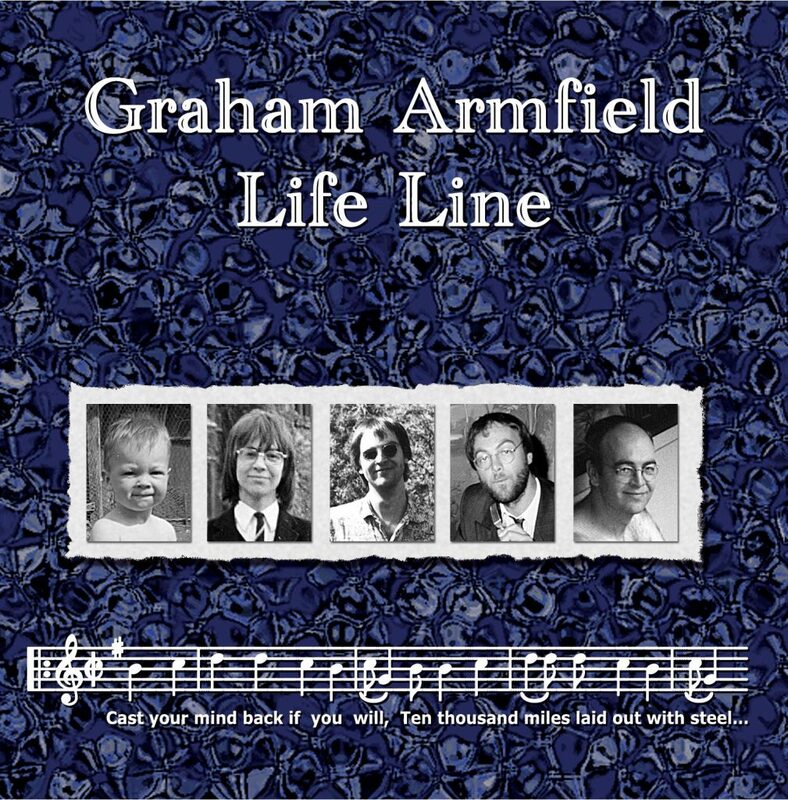 Life Line is available to download from CD Baby, and it’s priced at $7.99 for the album. If you want you can buy individual tracks separately for $0.99. If you’ve heard the album I’d love to know what you think. What’s your favourite track? You can tweet me via @grahamarmfield.